SPORTS vice-minister Wesley Raminai commended staff of the PNG High Performance Centre for their continuous support ofthe country’s elite athletes. Raminai made the remarks during a celebration of HPC’s fourth year of operations. Raminai said the HPC, running its programmes under the theme “Driving the Change for a Culture of Excellence” was a legacy of the 2015 Pacific Games and the PNG SPorts Foundation arm had developed steadily to providing a vital service that PNG athletes had to, in the past, go overseas to get. 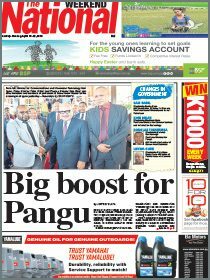 Congratulating HPC director Aaron Alsop, his staff, the PNG Sports Foundation and other partners that had continued to ensure the project continued to function despite some challenging times, Raminai said the Government had invested significantly in sports. The world-class facilities, the successful hosting of the Pacific Games and other international events like the Fifa Under-20 Women’s World Cup and several Rugby League World Cup matches, had put PNG on a new pedestral in sports. Raminai said the HPC, which had been hatched as part of the 2015 Games project, through the PNG Olympic Committee and other partners as part of their plan to prepare local athletes, had now become an integral part of the development of sports, coach education and other related areas had received good reviews at last year’s Pacific Islands Sports Ministers meeting in Port Vila, Vanuatu. “Aaron (Alsop) did a good presentation on our High Performance Centre, as a legacy of the 2015 Pacific Games during our presentation in Vanuatu, and many Pacific island countries found it valuable,” Ramina said. He said as a new concept, there were challenges on how best stakeholders of sports, like national federations could integrate their programmes to use the HPC, but celebrating the fourth year of its existence meant it had survived the test of time. 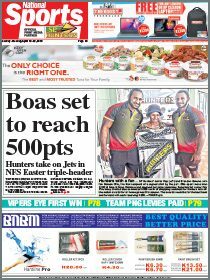 PNG Sports Foundation chief executive Peter Tsiamalili Jr thanked those involved, whether they had left, were still involved or recently joined the HPC, for mainatining a successful concept.